Each airline has it's own set of schedule and accommodation rules and some might even set a curfew for their own crew. Visitors are allowed to stay over based on gender, family relationship and most importantly airline approval. Once you graduate from your initial training as a cabin crew, you will be given a monthly roster (schedule). Every 25th-27th of the month you will know your entire schedule for the following month. 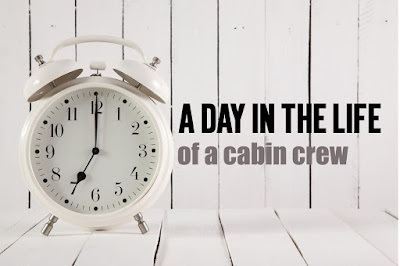 In this article, we'll go through a typical cabin crew schedule and address the accommodation rules that have to deal with cabin crew curfew and visitors requirements in Emirates, Etihad and Qatar Airways. Before every flight, you will need to prepare your suitcase and uniform for the destination. You will be picked up from your accommodation 1 hour before your duty starts. Once at the airport, you will have a briefing where you get to meet the rest of the crew, review the flight details, as well as refresh your safety and emergency procedures knowledge. The entire crew then proceeds to the aircraft and starts the preparations before the passengers start boarding: checking the safety equipment in your area of responsibility, checking the service equipment and the food and the drinks loaded according to the number of expected passengers. Once airborne you will start the service sequence which normally lasts between 2-3 hours depending on the flight duration. After the service is completed, it is time for you to relax and have a chat with the rest of the crew, have your food and respond to your guests' requirements. At the end of the flight, you should prepare your area of responsibility for landing, ensuring that the cabin is clean of loose equipment and all your passengers are wearing a seatbelt. Short/medium haul - a single sector is no longer than 4 hours and you will operate the flight back to base in the same day. Long/ultra-long haul - a single sector is longer than 4 hours and once you reach your destination you will finish your active duty and be provided with a rest period called a layover. It can last from 12 hours to 72 hours or more. You will be paid during this time and be provided a hotel as well as transportation to and from the hotel. You will know in advance the departure time, so even though you are still technically 'working' you can explore the city, visit museums, see people, make friends, go shopping and experience the cabin crew amazing lifestyle. The average free time is 8-12 full days off. 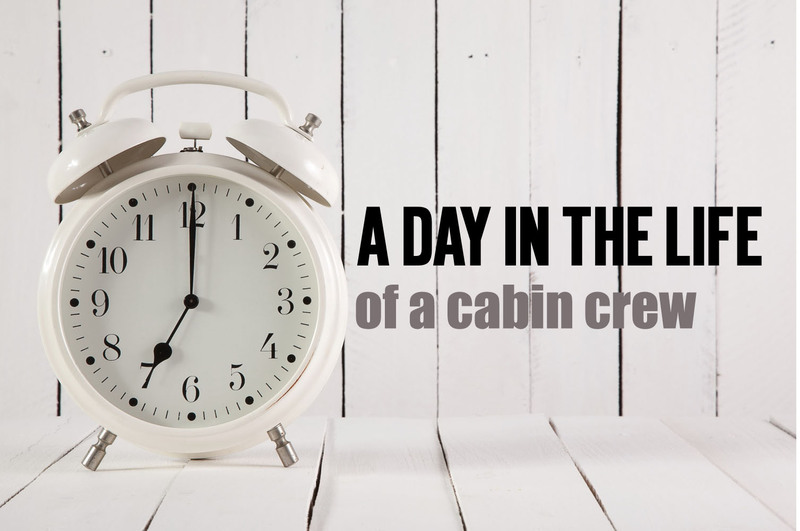 The cabin crew schedule is extremely flexible and there are not two days, two months or two flights the same. You will be able to plan your month in advance and pursue your interests in your off days. You will have your free time not only during the weekends, but also during the week. Do all of the airlines have a curfew on their crew? I heard that they have tough rules and you cannot have visitors. NOTE: When everything is paid for and provided for your comfort and well being, do not expect that there will be no rules. Being offered company provided accommodation is a great benefit for the cabin crew. Even though the airlines respect your right to have a social life, there will be rules in place to ensure the well being of all the occupants of the building, as well as rules installed by the country's Islamic law. I will discuss below each airline in detail. Emirates - there is no curfew for cabin crew. You can have visitors staying overnight with prior approval from the housing department. They will be limited to immediate family members. Immediate family members are: spouse, children, parents, brothers and sisters. Your 3rd degree cousin will probably not be approved to stay overnight. All the other visitors will have to leave the crew accommodation by a certain time (usually 1 AM). Other Emirates crew members can stay overnight in your accommodation. Etihad Airways - there is no curfew for cabin crew once the initial training is successfully completed. You can have overnight visitors however, prior approval is needed from the housing department. Also limited to immediate family members. Other visitors can stay with you from 8 AM until 1 AM. No overnight stay. Etihad cabin crew members can stay overnight in your flat. Qatar Airways - there is a curfew for cabin crew. You will have to be back in your accommodation by 4 AM regardless of your next day duty. If you have a flight, you should be in your accommodation at least 12 hours before your pick-up time. Visitors are allowed if they are immediate family members of the same gender. Any other visitors are only allowed between 07:00AM and 10:00PM. Qatar Airways cabin crew can stay overnight only if they are the same gender. So there you have it; schedule and accommodation rules for Middle Eastern Airlines. If you haven't read these airlin'es salaries, benefits and contract details, make sure to click the link and don't hesitate to leave your thoughts below. Which airline sounds more lenient and fair to their crew when it comes to accommodation?